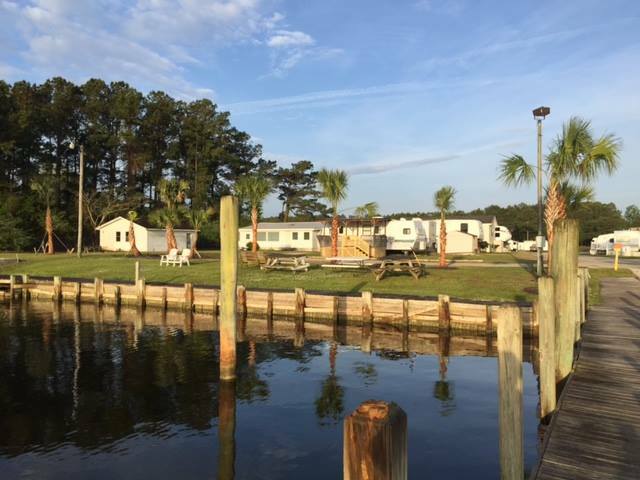 This private boat ramp and docks located at Seahaven Marine RV Park offer: single launching lane, courtesy dock and hand launching of kayaks & canoes, plenty of boat trailer parking spots on the street, lots of regular vehicle spots. 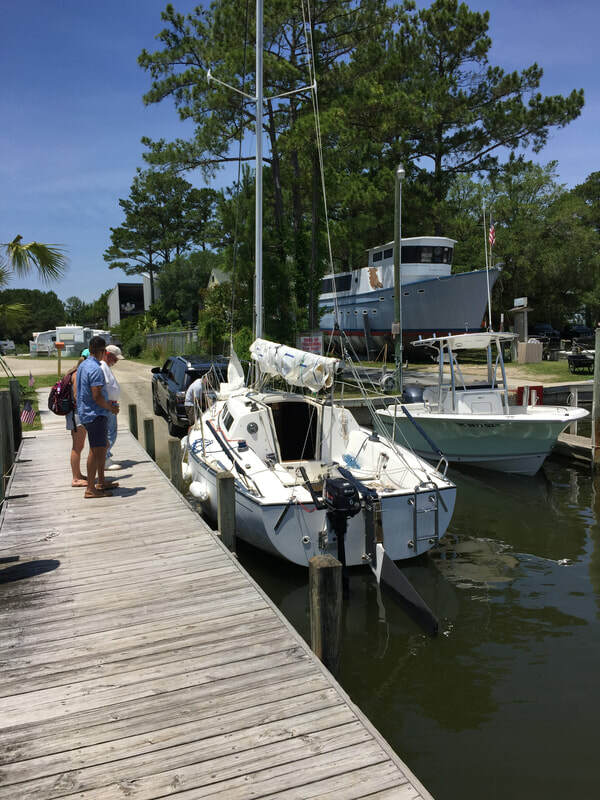 Nestled inside a sheltered cove our private boat ramp provides an easy access to the open Atlantic waters through the New River. Our cove (approximately 2 miles from the I.C.W. and approximately 3.0 miles from the New River Inlet to the Atlantic. There is a public restroom (porta potty) on site. 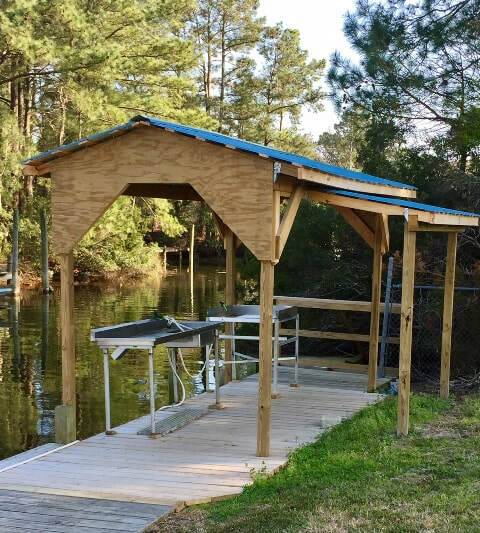 A well-lit fish cleaning station is conveniently located right on the dock. As boat ramps around the area are filling up to capacity this season we encourage non-RV Park residents to purchase an annual boat ramp pass for your boat for a guaranteed access. Boat ramp usage is $10/per use. Additional car parking is $5.00/car. Call us for specials on an annual boat ramp pass.